The ability to play a musical instrument is a lifelong skill and gift! As a Suzuki Violin teacher and a college level math educator, I chose this teaching approach because it makes learning fun along with the opportunity to be part of an internationally recognized teacher training program. 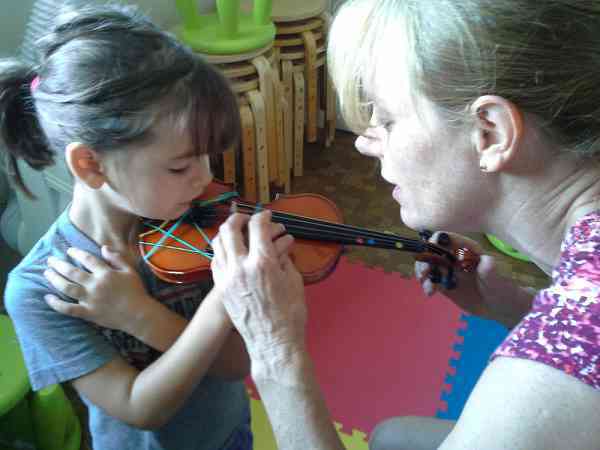 Through the Suzuki Method anyone, even preschoolers, can learn to play the violin! Learning how to play an instrument builds self-confidence, a sense of accomplishment and improves academic learning. From the curious beginner to the audition for music majors, I guide your student to achieve his or her musical goals. The Suzuki Method makes learning fun and engaging through an age appropriate, organized skill based curriculum. I give lessons in my Seal Beach home and at my sister’s home in Huntington Beach. My studio provides individual lessons along with the opportunity to play in large and small ensembles. Please call me to discuss the musical goals for yourself or your child and to hear more about my studio, students and credentials. I offer a free consultation and teaching demonstration of a Suzuki lesson; please contact me to set up a convenient time.